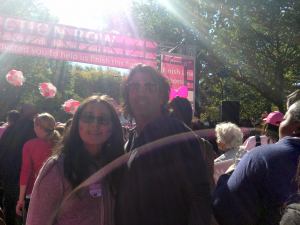 My daughter Ava and I had a productive day together on Sunday, supporting Breast Cancer Awareness Week. The night before I said wear your Nike’s, of course she wore the custom cool Converse. I bought a Gatorade saying it was for her, I really needed it. That cab ride back was heaven.